It might be for the first time that most of us are hearing about this fruit. 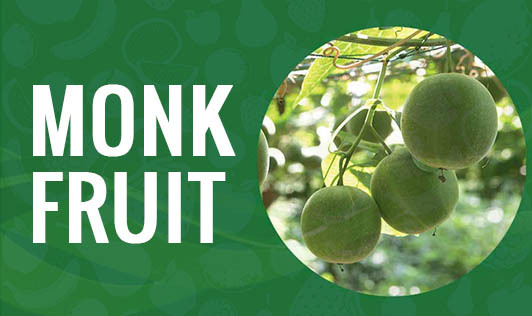 This fruit was first cultivated by Buddhist monks around 800 years ago, and hence is named as the ‘monk fruit'. This fruit is also named as la han qua, Buddha fruit or arhat fruit. It has been treasured for its unique health giving powers and low calorie sweetness. This fruit is about a size of an orange or a big lemon. The extract of this fruit is supposed to be 300 times sweeter than sugar. This fruit is majorly used for medicinal purposes in China to fight cold, cough and infections. These fruits are also available in the dried form and used in soups and teas. Research suggests that monk fruit contains active agents called mogrosides that have high antioxidant properties. This fruit has received GRAS (Generally recommended as Safe) status. Because of its immense sweetness, it is gaining popularity in the food industry. It is being used in the manufacture of natural and artificial sweeteners. It is also used in many cool drinks, beverages and low calorie foods. This sweet tasting fruit is now being used in many low calorie foods meant for weight conscious people. Though this fruit is now being cultivated in North India, it is not easily found. We have to probably wait for some more time to taste this yummy fruit, till then; we can only get to taste them in carbonated beverages and some low calories foods.